New Year’s Eve is a holiday where taking out all the stops is encouraged, if not required. Grab the attention with a show-stopping outfit (check our our post with ensembles from downtown Columbia) and a glamorous makeup look to match. Here are some ideas for fabulous makeup looks to bring in the New Year. Anything that seems a little too much for everyday wear is perfect for New Year’s Eve. Thought liquid liner was too bold for your 9 a.m. class? Be sure to break it out for a test drive tonight. That bright shade of lipstick that has been sitting in your makeup drawer all year would look great, too. This is a night where a little too much seems like just enough. Any look starts with flawless-looking skin. Start with a primer, they really aren’t overrated, and create a great base for makeup to stick to. 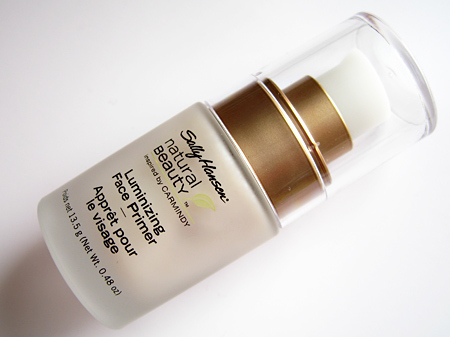 My current favorite is Sally Hansen Natural Beauty Inspired by Carmindy Luminizing Face Primer ($20). It helps my makeup stick and fits a college girl’s budget. Setting spray would also be a great idea tonight, especially if you plan on making it a long night. I’m a huge fan of Urban Decay All-Nighter Long Lasting Setting Spray ($12-$30). It keeps your makeup looking fresh all night and controls shine. Take advantage of the colored eyeliner trend for New Year’s Eve, and watch your eyes sparkle. Jewel tones look great on almost every eye color so think deep blue, purple and emerald. 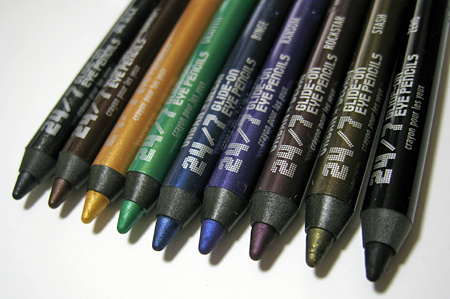 A great one to try is Urban Decay 24/7 Eyeliner in Mainline. It’s a deep turquoise that adds a little extra something when drawn on your bottom lash. Metallic eyeliner also looks great tonight because anything that sparkles is perfect for NYE. Line top or bottom lashes or both for a dramatic look. For an eye-catching look, try a metallic smokey eye. Doing metallic shadow instead of black makes this look more wearable. Gold looks great with warmer skin tones, and silver brings out cooler undertones. Crank up the drama by winging out some black liquid liner. If you are feeling extra ambitious, add some fake eyelashes and loads of black mascara. The extra work of putting them on is worth the glamour they add to your look. Bold lipstick is also a great trend to try out on New Year’s Eve. Start with a smooth base by buffing lips with a baby toothbrush or a towel to remove any dead skin. Every daring color from classic red to bright fuchsia is fair game tonight. Consider using a lip stain if you don’t like reapplying. They last all night, even through that New Year’s Eve kiss. 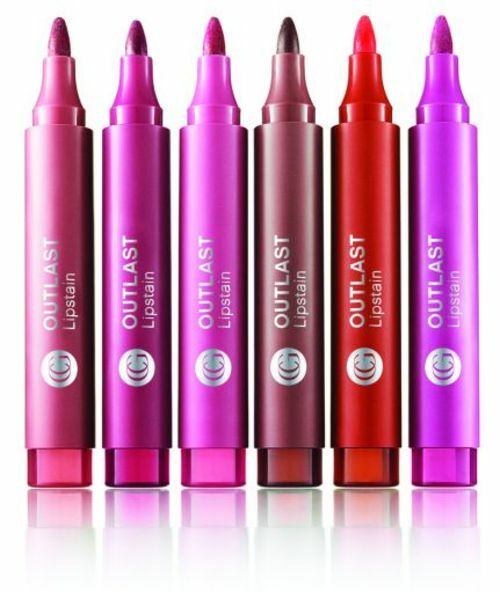 Covergirl Outlast Lipstain comes in a variety of flattering colors and easily fits into a small clutch. With such beautiful makeup, don’t neglect to glam up your body. Treat your skin in the shower before getting ready with a homemade scrub. Mix 1 cup of either body oil or olive oil with 2 cups of sea salt and add the zest of one lemon. It will make your skin soft and radiant in the New Year. Add some shine with a shimmering body lotion to top off your look. Victoria's Secret has shimmer lotions in all their major scents, and they make your skin look and smell great. Be sure to add extra lotion on your collarbone and down your shins for a truly polished look.